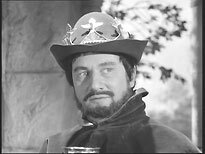 It's hard to watch the 1955-59 independent TV series The Adventures of Robin Hood without feeling a pang of nostalgia. Those were, it seems, simpler times, when straightforward, wholesome tales of derring-do, and chivalry ruled the airwaves, and all was good in the world. Except it's not true, and a couple of hours well-spent watching Network's The Adventures of Robin Hood box sets will prove it. Scratch the surface of Robin Hood, and you'll find some pretty serious politics being preached: commie propaganda about sharing the wealth, and overthrowing the monarchy. It shouldn't come as a surprise to anyone. This is, after all, a series based on a legendary figure who robbed from the rich to give to the poor. But it goes deeper than that, as anyone who's seen Philip Saville's sorely-neglected 1989 film Fellow Traveller will tell you. 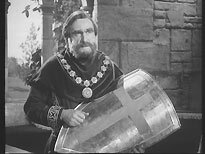 Many episodes of The Adventures of Robin Hood were written pseudonymously by blacklisted left-leaning Hollywood screenwriters, including Oscar-winner Ian McLellan Hunter (who wrote at least three episodes of this third season - The Profiteer, The Crusaders and Elixir of Youth - as "Samuel B. West") and Hollywood Ten member Ring Lardner Jr, both victims of the McCarthy-era HUAC witch-hunt. The series was also a fertile training ground for directors who would soon go on to bigger things, including Hammer stalwarts Terence Fisher and Don Chaffey, if...'s Lindsay Anderson and Robert Day, who directed several great episodes of The Avengers, before crossing the pond to helm episodes of numerous American shows, including Logan's Run, Dallas and Kojak. Many of them would also contribute to future ITC series, like Danger Man and Randall and Hopkirk (Deceased). Then there's the on-camera talent. 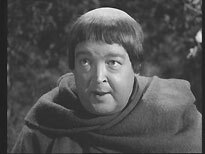 The star of the series is undeniably dashing Richard Greene, as Robin, ably supported by Alan Wheatley (chewing scenery as the Sheriff of Nottingham), Patricia Driscoll (as a rather unappealing Maid Marian), Alexander Gauge (a suitably jovial Friar Tuck) and Archie Duncan (as Little John). In addition, the series used a stock company of semi-regular performers. In this season you'll regularly see Yes, Minister's Paul Eddington and Randall and Hopkirk (Deceased)'s Kenneth Cope. 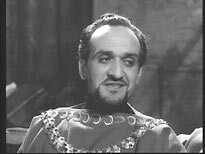 Eddington crops up in most episodes, in often-startling different wig and beard combinations, sometimes in more than one role in a single episode! 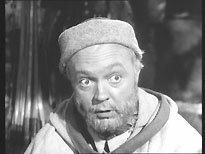 Other notable guest stars who crop up in the third season include Harry H Corbett (sans his Steptoe accent), Francis de Wolff, Michael Ripper, Catweazle's Geoffrey Bayldon, Charles Gray, Billie Whitelaw, Peter Halliday, Jack Watling, Jane Asher, Richard O'Sullivan, Gordon Jackson, William Lucas, Robin Bailey, Kevin Stoney, Ronald Allen, Edward Judd, Patrick Troughton (who played the title role in the BBC's 1953 version of Robin Hood), Anne Reid, George A. Cooper, Ballard Berkeley, Rupert Davies, Richard Pasco, Richard Caldicot, Strange Report's Charles Lloyd Pack, Francis Matthews, Roger Delgado, Alfred Burke and Renee Houston. 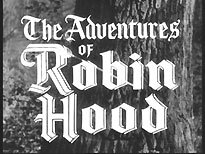 The Adventures of Robin Hood was one of the first British TV series to be sold to the lucrative American market, where it was very well received. 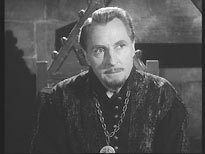 It was made by an independent company, Sapphire Films, who would develop a similar show, The Adventures of Sir Lancelot while Robin Hood was still on the air. 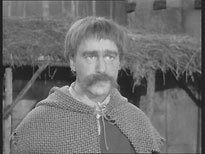 Although they elected to switch production of Sir Lancelot to colour part way through its run, Robin Hood remained resolutely monochrome for all its four series. The series was shot on 35mm film. Many of the series' directors had earned their stripes as Directors of Photography in the years following the Second World War, so the cinematography is generally pretty good, although it's notably more bland during the show's studio-bound sequences. Most of the episodes are in pretty good shape, but there are rarely moments when they look particularly impressive. Most appear a little soft (a look that's perhaps exaggerated slightly by the number of episodes Network has crammed on each disc - there are eight twenty-five minute episodes on four of the set's five discs), and they exhibit variable degrees of contrast and density. 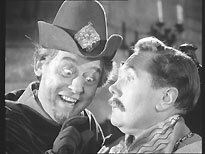 A couple of episodes (The Minstrel and Farewell to Tuck) have been sourced from prints with a French title sequence, suggesting that ITC's archive holdings might not be complete. (The Minstral suffers from especially poor contrast). The average bitrate is about 5Mb/sec. There are no subtitles. The prints used exhibit a smattering of negative and film dirt, and the usual age-related problems with stability within the frame. Occasionally , there are more serious problems, (a picture bounce the beginning of The Double, or the moiré on Sir Liam's jacket during A Christmas Goose, for example), but they're usually fleeting, and not too disruptive. The set is not free of faults caused by using existing video transfers. Mostly these are restricted to very minor dropout faults, but a very disruptive tracking problem 6'25" into The Rivals is in a different league, and certainly seems bad enough to merit returning to film elements. Inserts shot on location are often in comparatively rough shape, and are usually poorly-matched with studio footage (something that modern grading techniques would help smooth out). That's how they looked when they were first made, and that's how they look now. Fresh transfers from the source materials would undoubtedly have helped (if, indeed, suitable materials still exist), but this would have meant considerable expense, and it's very hard to imagine that sales of the series would justify it. A couple of episodes (One Man's Meat and Too Many Robins, for example) suffer from interpolation (meaning that the frames haven't been captured cleanly). The audio on most of the episodes is serviceable. Several episodes have fuzzy-sounding audio; some sound tinny; and others suffer from wow and flutter (the almost-painful The Mark, for example). Again, there's probably lots of improvement potential, but the series would have to be far more popular to merit extensive restoration work. 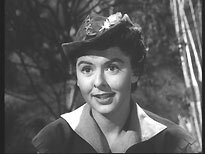 Copies of the set have a fundamental audio problem, which also affected Network's first pressing of Ripping Yarns. The problem is that the audio is presented out-of-phase, which may result in no - or very little - audio for people listening via a mono TV, "hollow"-sounding audio for people listening through a stereo TV set, and audio pushed to the rear channels for those using Pro-Logic decoders or Dolby Digital setups. The menus are basic and easy to navigate, with options to Play All or Select An Episode (which leads to a chapter menu). The disc sleeves include basic synopses and credits, but the episodes on the discs don't match the packaging, making it a bit of a dog's breakfast. Incidentally, Network's series of box sets aren't the first time the series has been released on DVD. In 1991 a number of episodes were compiled and colorized in a series of TV movies created for American television, to coincide with the theatrical release of Robin Hood: Prince of Thieves and the Patrick Bergin Robin Hood. At least three of these compilations have been released on DVD in Australia. They're cheap, but entirely hideous. The colorization is horrible, and they've also been remixed into faux stereo, and re-scored with some truly awful MOR rock music! There is none. This is forgivable, since the set is priced relatively cheaply (by Network's standards, anyway!) It's a real shame, though. Most of the key contributors to the series were born in the first quarter of the twentieth century, and most of them are no longer with us. In fact, Network would probably be hard pushed to find anyone of any significance to contribute material. It would be fascinating to hear what working on a series like The Adventures of Robin Hood was like. Perhaps next time they have contact with Alfred Burke, or Geoffrey Bayldon, they could ask them! 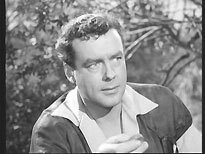 If Network decide to follow The Adventures of Robin Hood with The Adventures of Sir Lancelot, it would be of considerable historical interest and importance if they could persuade William Russell to make some contribution. The series has aged well, even though the prints are beginning to look a little creaky. The quality of the writing is remarkably good, although the plots are a little repetitive, and predictable. Half the fun is in spotting lowly cast members who would later become stars in their own right. 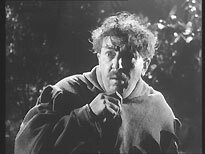 The Adventures of Robin Hood - The Complete Third Series set features thirty-nine half-hour episodes, which works out at about a pound an episode, using the set's RRP. The episodes are in reasonable shape, and only someone with entirely unreasonable expectations would be surprised or disappointed with their quality. The lack of extras is lamentable, if understandable. If Network irons out the set's audio problem, then the set can certainly be recommended to fans.